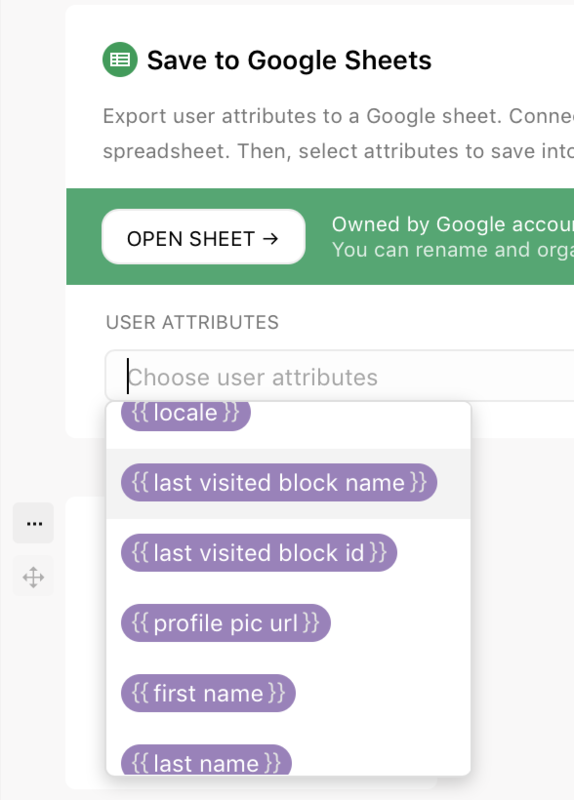 You can integrate Chatfuel directly with your Google account to export user information to Google Sheets. To use the Google Sheets Integration, go to add a new element and select 'Save to Google Sheets.' You will be asked to integrate your google account. Make sure to connect to the correct Google account that will use the spreadsheet. After you complete the registration, you can add what user attributes you want exported every time a reachable user interacts with a bot. The data will be exported to the Google Sheet file automatically once you set it up!